Sarah Lang » Can you spot me? Can you spot me in the @HouseofAnansi #readwomen2014 campaign video: http://houseofanansipress.wordpress.com/2014/06/05/readwomen2014/ ? Winners get no #apocalypse. The first five* get merch, as seen. *Restrictions longer than 144 characters may apply. 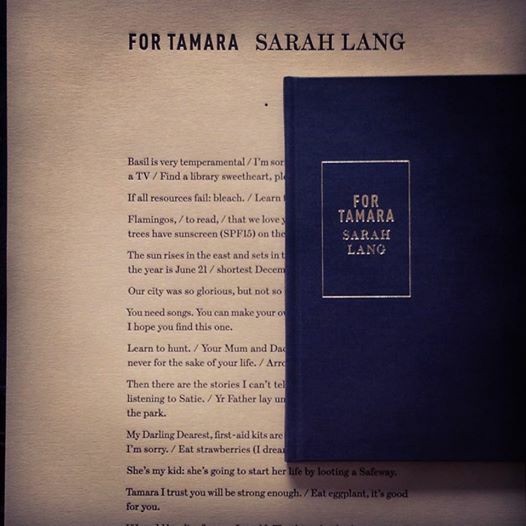 For Tamara Hardcover and broadside. Found you. Do I need to submit my form with Anansi or tell you where here? Oh, I’m sorry I took so long to gt back to you. I do not update this nearly enough. No, you should just e-mail me via the site to receive a book!